We planted our seeds in the greenhouse and have recently been hardening them off in a cold frame. Hardening a plant, means that you are getting it used to life outside. You do this gradually so the little plant you have nurtured won’t get too much of a nasty shock when the weather feels colder! They are sensitive little plants so be sure to only plant them out after the last frost of the year is expected. When your plants are ready to go out, make sure you water them about an hour before. In the meantime you need to build your bean plants some support, they do grow quite tall! Using some canes to build a wigwam or a line of canes tied as we have done here. 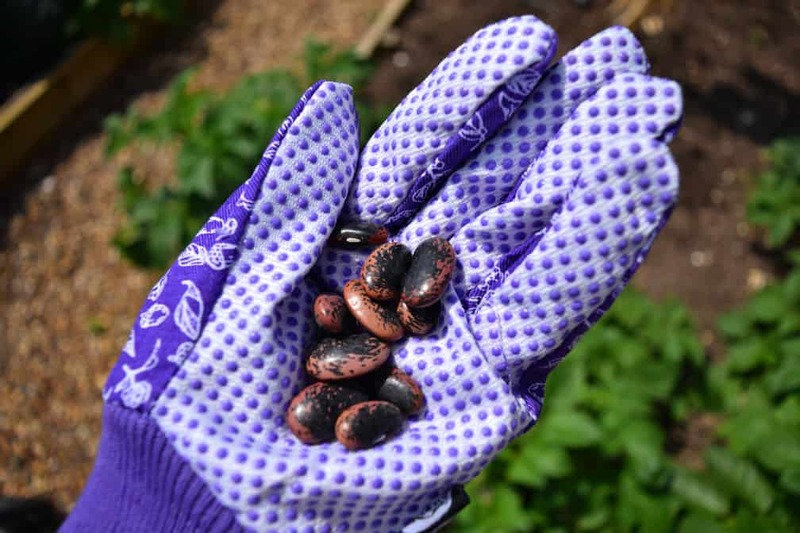 Plant your bean plants at the base of each cane with the root ball level with the soil and gently firm the soil around it. Give the plant some more water. Don’t worry about tying the plant to the cane as it will find it’s way, you can always give it a little encouragement as it grows by helping the plant twist around the cane. 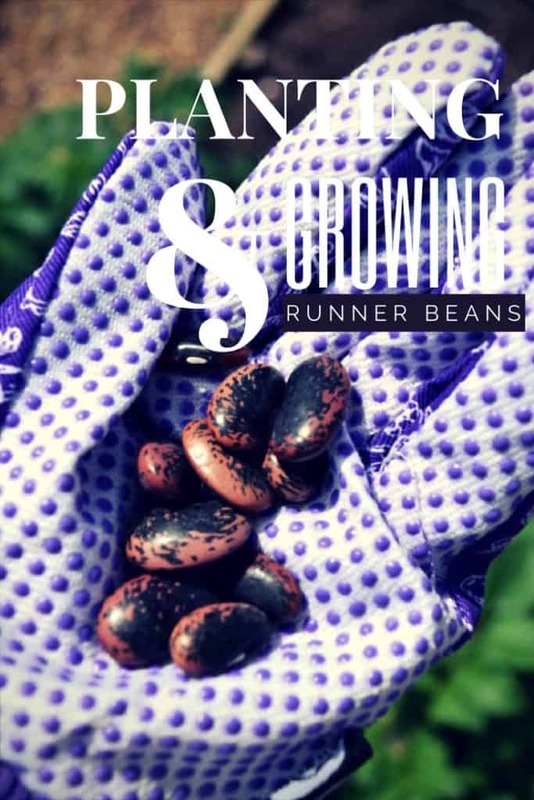 The bean plant will bloom with some beautiful little flowers, each of these will become a runner bean, just make sure you harvest them regularly, so that the plant continues to work hard throughout the summer producing more beans and that the beans are tender and not stringy. Loved this post! I’ve mastered strawberries, so next stop – runner beans! Thanks for linking your post up to the #LifestyleLinkup! Hopefully see you back there next week! Go for it Lyndsay! You must let me know how it goes.